I remember being very excited about Christmas when I was young. Every other year, we went to Letchworth Garden City to stay with Molly and Roy, my three cousins, our shared grandparents and Aunty Jan (blind sister of my grandmother). 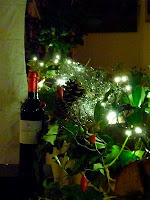 I in total, a happy house bursting at the seams with thirteen of us. I must admit to having gone through a Scrooge “Bah Humbug!” stage but, after many years, I'm now reconciled to the end of the year’s celebrations. 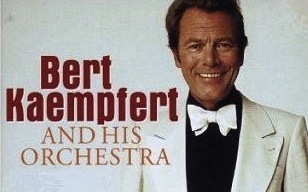 One of the essential elements of my childhood Christmases was an LP of my parents, Christmas Wonderland by Bert Kaempfert and his Orchestra and–yet another benefit of the Internet–I’ve downloaded it to serenade us. Gabrielle is unimpressed: for her it’s more neuralgia than nostalgia. 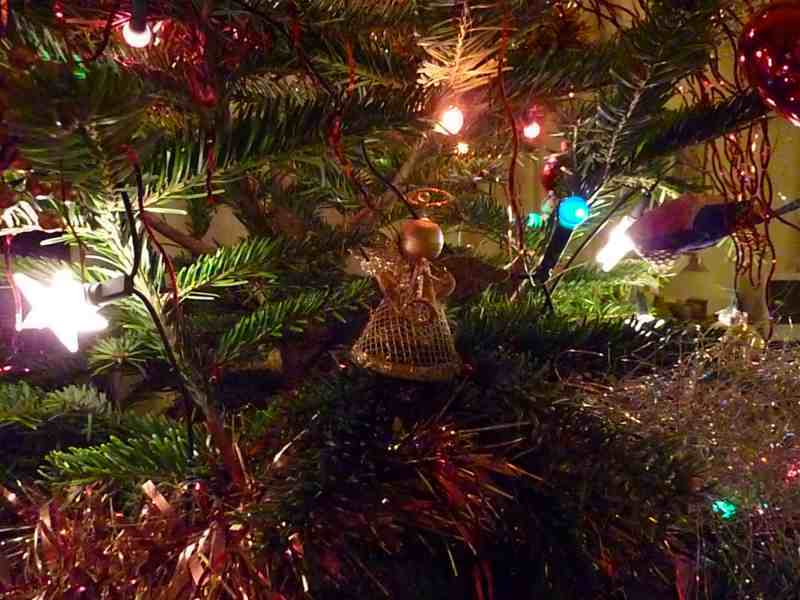 We’re unsure whether a real tree is more or less environmentally friendly than an artificial one. Gabrielle’s daughter, Christina had requested a real one, so we went to IKEA, for a free one. Free? One buys a Christmas tree for 20€, takes it back to the store in January for a 19€ reimbursement. 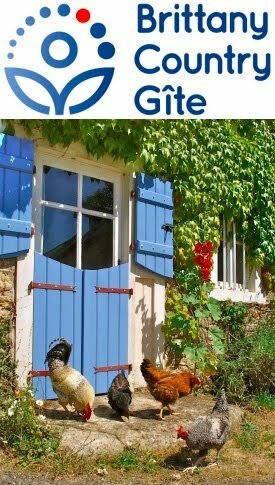 The extra euro has been donated to l’Office National des Forêts. The tree, which was labelled as being grown in France, then gets composted. That sounds acceptably ecologic to me. The only slight catch is that the reimbursement comes in the form of a voucher to spend in IKEA but that’s capitalism for you. As the lid came off the box of decorations, it was inevitable that a couple of bulbs in the fairy lights didn’t work and we’ve used up the last of our spares. We couldn’t find any replacement bulbs for sale, so went shopping for a new set. I prefer multi-coloured garlands and Gabrielle white, and while I was comparing boxes in the shop I noticed that a string of eighty LEDs were only 5W and the more conventional lights 65W. That’s quite a saving of energy, so Gabrielle got her white lights. I’m not sure such energy savings were on Serge’s mind as he dressed his house with festive luminance. I think he’s elevated the whole thing to the level of art. For me, art has to move the emotions and I always end up smiling when I see our neighbours’ house at night! Gabrielle and Christina have made eco-crackers. The bangers were bought from eBay: under £2 for twelve. The wrappers are colourful pages torn out of old magazines, around toilet roll middles. The hats have been made out of odds and ends and cheap but useful gifts chosen for each person. Even the jokes aren’t new, sourced from the BBC's website, promising to be groanworthy. I, for one, don't believe that Christmas will be Christmas unless you share some of your groanworthy jokes! If you nick the ends off your tree branches before returning it to Ikea and use them to mulch acid loving plants such as blueberries it will have made another eco friendly contribution! 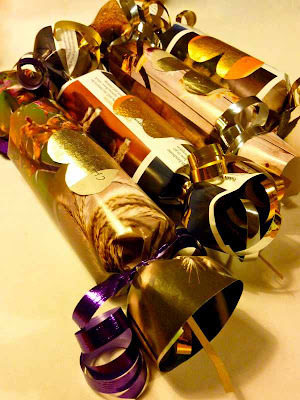 I make my own crackers too - they're one thing we just have to have at Christmas! Wish mine looked as good as the ones in your photos though!